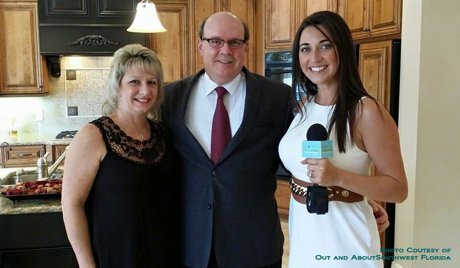 When John Woodward was asked to be part of Out and About in Southwest Florida, it took about two seconds to make the decision. The opportunity to talk Sarasota real estate to a larger audience with the backdrop of one of his listings at the Founders Club was simply a win-win. The show will begin airing on the local ABC station, Channel 7 on Sunday May 3 at 11:00 a.m. and will be repeated through out the month. Be sure to check out the sneak peak of the segment we put together. If you are considering selling your home, John Woodward is all about getting the most exposure into the market. More buyers for your home can mean a better price, better terms, and a quicker sale. Be sure to check out the "Sell My Home" button to the right and find out exactly what he does to sell homes. John has also posted several recent success stories that you can check out and research for yourself. There really isn't a better choice out there when it comes to selling your home. Contact John Woodward to see how easy it is to get your home sold.